This week has been the first time that I have been able to do any work on LoM since the decision to continue with the project. However, that doesn’t mean that nothing has been done. Jure Rogelj has been working his way through all the artwork, and we now pretty much have everything covered for the first release. All the terrain, shields, and characters have been redrawn, along with splash screens and icons etc… just a few finishes touches now hopefully. This week I have torn through a large number of outstanding issues that were required to get the game ready for release, and it now feels a lot more polished. I am hoping to release iOS, OSX, Windows, and Playbook versions into test by the weekend. The desktop versions still need more specific work done on them, to adjust from the hand-held to desktop experience, but they are fully playable. I intend to focus more on these changes post initial hand-held release, while I drive to get the app ready for the Mac App Store. I doubt that I will be able to give too much focus on the Android version before initial release either, but I promise that it will be the first thing I address in the New Year. I will look at ordering a Nexus7 in the next few days, so that I at least have a reference device to work with. Unfortunately, in order to have any chance of remotely hitting the intended release of Winter Solstice ( Dec 21st/22nd ), there are a number of features that are probably not going to make the first release. Most of these are ui enhancements that make the game a little easier to play and have no bearing on the original game, they will just facilitate a richer playing experience. I will endeavour to add these features quickly post release. I find myself walking through Wallasey at 1am. The wind chill is bitter and burns my face. I would pull my cloak around me more if I could. All that is missing is flakes of snow in the air. I’m not sure if the temperature has dropped or that I’m just so much more northerly than usual. As harsh as it feels, it somehow feels appropriate. It feels like this is the right way to end the day. I’ve spent the last five hours in the company of Mike Singleton’s friends and family. I’ve had a wonderful time talking to his sons Jules and Tam, and his daughter-in-law Gemma. I been privileged enough to listen to stories told by the old Maelstrom gang, brought together one more time by the memory of a man that really was larger than life. They one thing that I take away from this gathering, is just how much Mike was loved. Not because he was a founding father of the games industry, a man whom the industry owes so much. A pioneer and a maverick who constantly tried to push the boundaries of technology and game design. A man who has written more inspirational games than anyone I can think of. A man who was unassuming and modest, and really wouldn’t have understood all the fuss. But because he was an all round nice guy. And man who cared for the people around him. A man who had time to give to kids and adults a like. A man with patience. A man who liked the company of other people. The thing I can take away from this happy but icy cold October night is – Mike Singleton was not only a game industry legend, but he was an all round bloody nice guy! The way was obscure but he moved onwards, little caring what he moved towards. 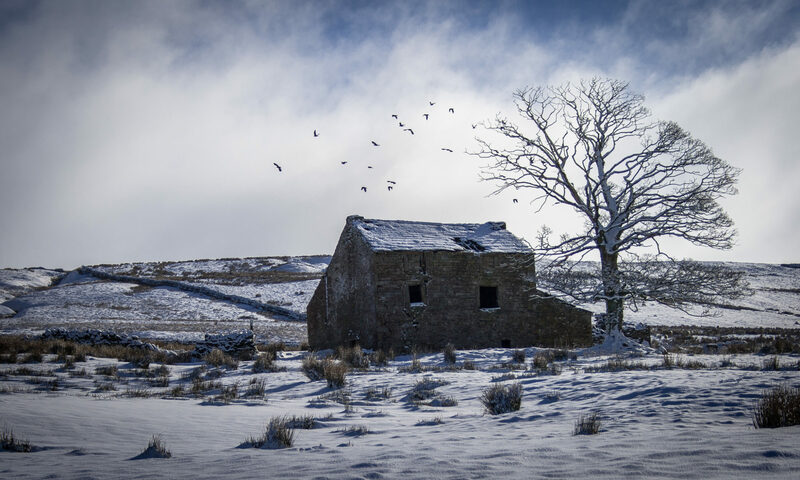 The trees thickened and the darkness of the forest closed in upon him yet he hardly noticed; his thoughts were frozen; tomorrow unimaginable, but forgotten, yesterday a strange dream that had happened to someone else – if it had happened at all. Now the thing was destroyed, what else was left to do? All the fear Morkin had held at bay for so long, because he had to succeed, was unleashed with that success. His mind was just a wilderness now, bleaker than the Plains of Despair. In light of Mike Singleton’s death, I have had to spend some time considering what to do with this project. Developing this game has been a labour of love for me, but sometimes life just gets in the way, and this has caused large periods of none work over the last 2 years. Mike’s illness was a small factor in this. You may or may not know, that a few months after Mike and I agreed to work on this project, and announced it to the world, he was diagnosed with mouth cancer. He undertook chemo and then was prepared for an operation to have some of his jaw removed and rebuilt using his shin bone. He also had to have part of his tongue removed. During this time it was found that he had suffered a heart attack and possibly a stroke at some point recently – something nobody, not even him knew about! Mike had the operation and was slowly rebuilding himself. It was during this recovery that he got very excited by the concept of Eye of the Moon and started working on story ideas and designs. I honestly felt that he needed to get the story out. 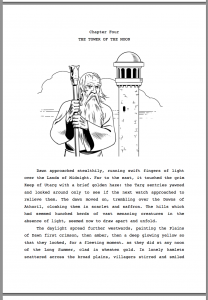 The plan became to develop Lords of Midnight as part of a practice run for Eye of the Moon. Mike and I figured that by developing Lords of Midnight, Doomdark’s Revenge, and the Citadel, we would cover everything we needed to produce Eye. 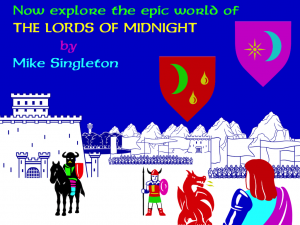 Also, along side any later development heading towards Eye, we were going to start looking at moving Lords of Midnight Multi-User. Mike was impressed with the work that Jean-Yves Rouffiac had done on his game Midnight/MU, and saw an opportunity to bring the concept home. To this end, we had already started making design changes to the game to make the original Lords of Midnight AI decouple some of Doomdark’s AI processes. An internal blend between Lords of Midnight and Doomdark’s Revenge. We were also going to introduce a new set of Ice Lords to control those wandering armies. So there would have been new characters like Lord of Kor, Gorgrath, and Valethor. Mike didn’t want to develop a game just for the faithful, he saw this as an opportunity to reach out to a new audience, and part of that process was working out how to deal with telling the story. The gaming world has moved on, and no one reads manuals anymore, let alone Novellas! But we intended to release Audio Books and eBooks, as well as having something in game to tell the story, maybe animation. We also needed a way to tell the player how to play the game whilst they were actually playing it. The intention there was to set the game a little earlier, and follow Luxor and Morkin on their way to the Tower of the Moon. During that time we could impart tutorial information that shows the player what to do, and give them parts of the story. Mike accepted that moving the game to freeform 3d was not the way forward, making that change created too many other issues that moved the game away from the simplicity of the original; issues that The Citadel never really managed to overcome. Midwinter was a 3d freeform game, Midnight was not. In fact, it was part of this reason that we decided to remake The Citadel in the style of the original games. If there was to be a way forward, it was by going back the originals. We felt strongly that todays casual games, those that are playing games on their phones and tablets, would appreciate the dip in and dip out nature of Midnight. Mike was playing around with new technical concepts for the graphics. We knew from the work I had previously done on Doomdark’s Revenge with Jure Rogelj, that we could vary the graphics dramatically, to create a more varied landscape. Using techniques to alter or change the graphics depending on location and area. On top of this Mike was working on a technique that placed information along side 2d artwork, to allow us to change lighting direction realtime. Another concept that he was playing with, was a system that he called ‘Paint’. Where all graphics had information in them that would allow them to easily change colour. 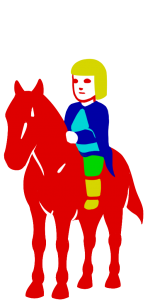 A pixel was not represented by an RGB colour, but by a percentage of paint used from a small palette local to the image. The games were going to be released on iOS, Android, Playbook, Mac, and Windows. A method which we were achieving by using the Marmalade SDK. In fact when I started Midnight iOS I was coding it in objective c under the standard Apple SDK. I had no sights for other devices. It was Mike that brought Marmalade, or Airplay as it was then, to my attention. It allowed me to code on my Mac and him to code on his Windows laptop. The ideas were bold, but we had time. We wanted to go for release of at least the iPad version of Lords of Midnight for Winter Solstice 2012. Time ran away from us. Mike had his health problems, and I struggled with life and work just getting in the way. We also massively struggled to find an artist that was prepared to work on the game as we were, spare time without payment. Mike and I really wanted to use Jure Rogelj to produce the graphics. We really liked the work he had done on my unreleased windows version of Doomdark’s Revenge. But Jure had his personal reasons for not wanting to work on the project. We approached a number of artists, even had concept art from some of them, but we couldn’t find a solution to the art problem. We wanted to keep the game independent. We’d had a couple of discussions with games companies about taking Lords of Midnight in house, and Mike had had a few offers from companies to develop the game. But in the end, we both felt that he would lose control of the project, and any small amount of money that the game would make, would be lost to the studio system. We actually talked about creating our own small studio, codename – The Midnight Studio, just to develop these games. It would start small with a couple of guys working in their spare time, and hopefully as the games rolled out, we could organically generate enough money to get everyone working on the games full time. We also discussed using Kickstarter or Gambitious to fund the project. But ultimately, we weren’t convinced that there was enough people out there to fund the project to an acceptable level. We didn’t like the idea of spending lots of people’s money, just to get them to give us money. Any money lost to buying goodies, was money lost from the project. The night I heard that Mike had passed on, I couldn’t envisage moving on with this project. So much of the plan had become about heading toward Eye, and doing that without Mike was just a none starter. People want to play, Mike Singleton’s: Eye of the Moon, not Chris Wild’s: Eye of the Moon. It also bothered me that people would not accept any changes that we wanted to make without Mike around. And without him around, I felt that I might just struggle to get to the end. So it seemed to me that the answer would be to leave the game firmly where it was, back in 1984. It seemed the right time to finally turn my back on Midnight, and walk away. Over the last week I’d had a number of conversations with various people who have either contacted me directly, or posted on my blog. I have also spoken to one of Mike’s sons, Julian. He, like me, is completely bowled over by the online response to Mike’s death. So, taking everything into account, it seems only right that I continue with the project. However, I’ve had to think very hard about what that actually means. 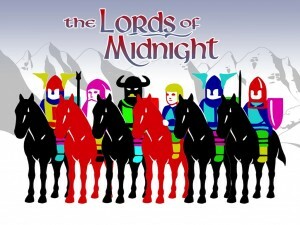 A lot of people out there want to play original, faithful, Lords of Midnight. However, that’s just not possible. Mike didn’t want to do that, nor do I. If you want that experience, play the game on an emulator. I know that might sound harsh, but I feel it’s right. That said, I appreciated that I cannot on my own fulfil the brief that Mike and I set ourselves. So, I have reached a compromise. 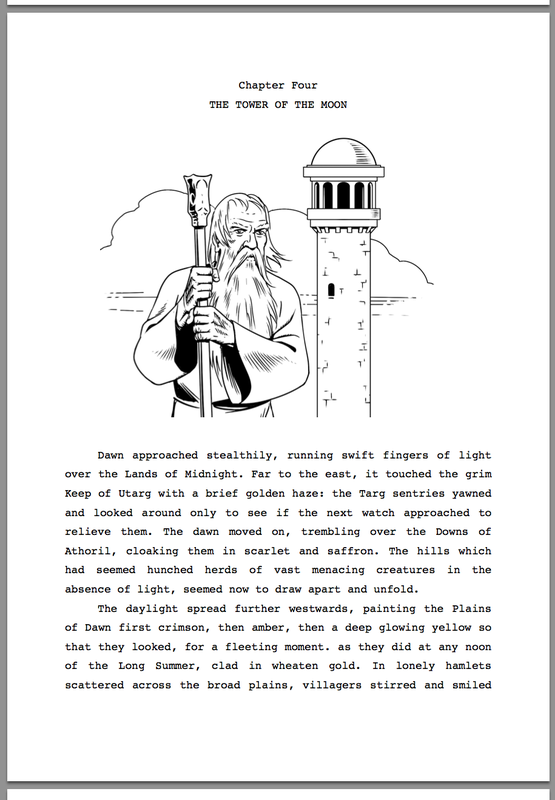 During the development of the test version of the game, we introduced hand drawn images of the original terrain. These were hand traced by Mike from the original graphics. He did the work by printing the graphics out large on a sheet of A4, in a faint yellow colour, and then drawing over them in black felt. He then scanned these images in, and removed all traces of the original. In game I think they look excellent, and they were going to be a building block towards final graphics. They look like high resolution versions of the originals. If I could get similar versions of the character graphics I would be able to release a version of the game, that look like the original without using the actual original graphics. Mike would have been happy with that, and so am I. With this in mind I have decided to release a version of the game with these style graphics. I am going to remove a number of the new features that are already in the game, and restructure some of the UI. I will leave grouping in the game, a feature that the testers proved was now massively important as playing the game without it feels a little tedious. I was also leave in the automap, or at least a version of it. And finally I will leave in the moving landscape – the ability to pan around your viewpoint, rather than flick screen. There will be no new AI, no new characters, no real new visuals, etc. This version will be a tribute version to Mike; as near as dammit original Lords of Midnight, playing on new devices, that myself and Mike would have be happy with. It won’t please everyone, but I hope it will accepted in the spirit of how and why I release it that way. Hopefully I can still get this version released this year. If the uptake makes it worth it, I will also do the same for Doomdark’s Revenge. I will release on iPad, iPhone, and Playbook first, followed by desktops, and then Android. The only reason for this is due to the multiple device resolutions, and the testing required. After that, the project in its entirety needs more discussions. For one, I want to make sure I have fully discussed the issue with his family, and we make a decision that is best for the legacy that he leave us. But in general, most of the plans remain the same with the exception of Eye of the Moon. Obviously, I think that Luxor will never find the Eye, and it shall always remain a myth or a legend. Jure has kindly stepped in to produce the graphics that I need to release the tribute version, and I am so excited by the results of the work that he has already done. I know that Mike would have loved them, it’s such a shame that he never saw them. Hopefully, Jure will continue to work on the project for any newer version, that we may release next year.